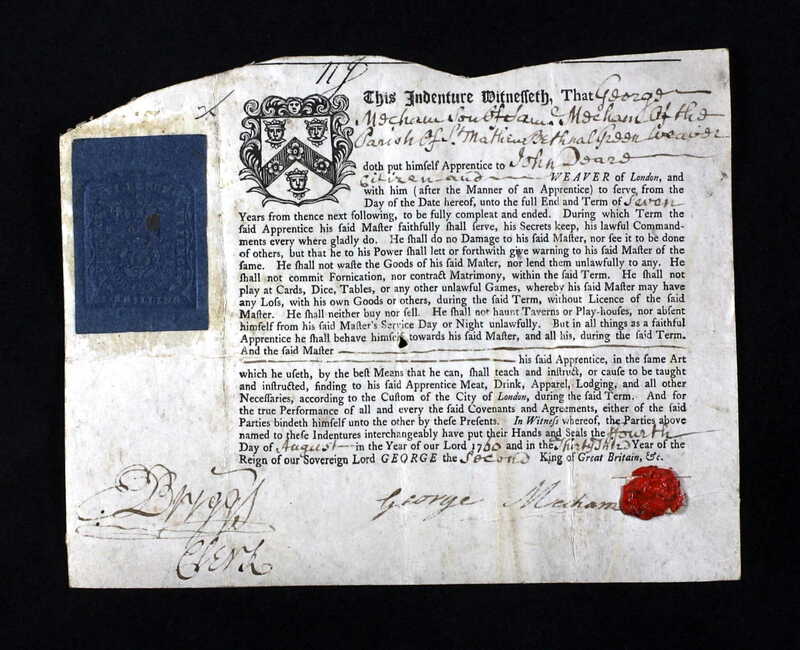 The Mecham family – Huguenot weavers of Bethnal Green? 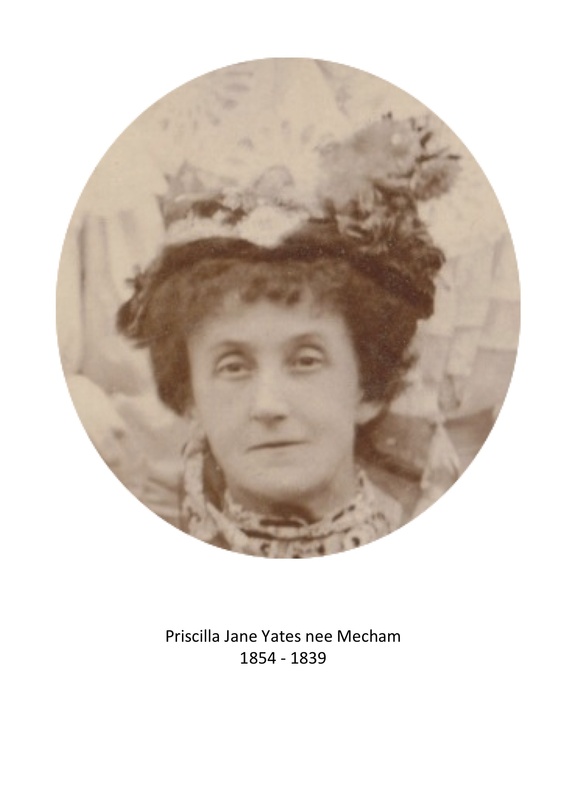 | Who was Fanny Yates? This entry was posted in Apprentice, Brick Lane, East London, Flemish Weavers, French Protestants, George Mecham, Huguenots, Irish Weavers, Journeyman, King Street, Lomas Street, London, Master, Phoenix Street, Priscilla Jane Mecham, Samuel Mecham, Silk Weaving, Spitalfield Riots, Spitalfields, Thomas William Mecham, Thomas' Street, Tower Hamlets, Uncategorized, Weaver, Whitechapel and tagged Ancestry, apprentice, Family Tree, Flemish, Geneology, George Mecham, Huguenots, Irish Weavers, Phoenix Street, Priscilla Jane Mecham, Samuel Mecham, silk weaving, Smart Family, Spitalfields, Thomas William Mecham, Thomas' Street. Bookmark the permalink. 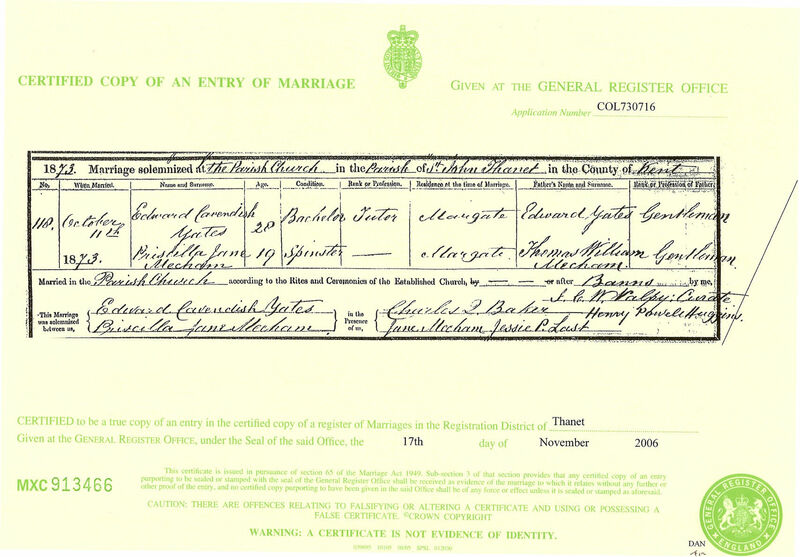 7 Responses to The Mecham family – Huguenot weavers of Bethnal Green? If anyone gifted in the business of writing on wordpress.com can help me get rid of this strange half image at the bottom of my blog, I’d be really grateful! I looked into your line some time ago, as I’ve been seeking the origin of my own Mecham line from Athlone, co.Westmeath, Ireland (from 1690). Mine were almost certainly English and protestant. They were a mix of farmers, merchants, distillers, cordwainers; there was another Mecham group in Dublin around 1700 that were weavers. My Mechams were not Huguenot, but intermarried with them. 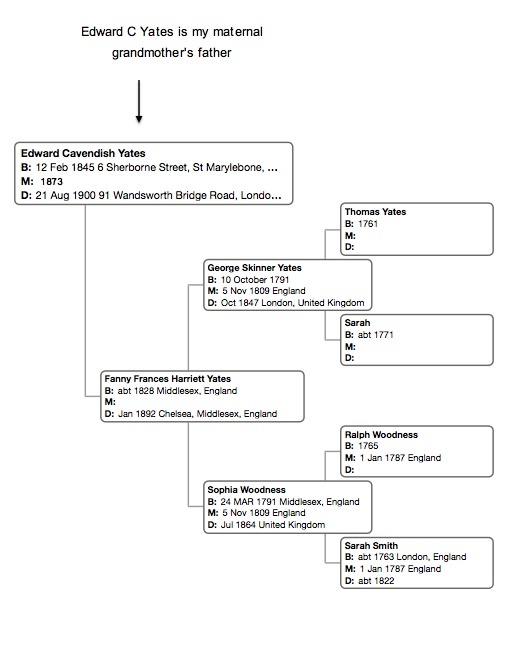 I’ve been trying to link them to an English family line. 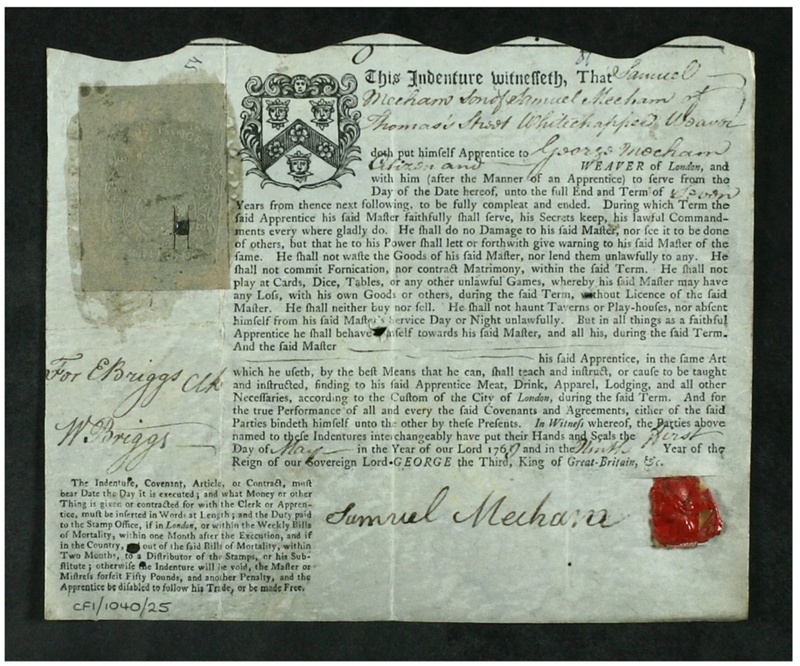 My read of your line back from: Thomas William Mecham (ch.28 May 1823), son of Thomas Mecham (17 Oct 1784) victualler, son of William Mecham (17 Dec 1758) china dealer Shoreditch, son of Samuel Mecham (est 1720) of Whitechapel and I’m confident he was the son of Roger Mecham (est 1690) weaver of parish of St Dunstan, Stepney. See in IGI Samuel names a son Roger, assumingly after his father. THIS WILL was proved at London before the Worshipfull George Lay Doctor of Laws Surrogate of the Right Worshipfull John Bettesworth also Doctor of Laws Master Keeper or Commissary of the Prerogative Court of Canterbury lawfully constituted the fourth day of September in the year of our Lord one thousand seven hundred and forty six by the oath of Elizabeth Mecham widow the Relict of the deceased and Executrix named in the said will to whom administration was granted of all and singular the Goods Chattels and Credits of the said deceased being first sworn to administer. Exd. Thank you so much for this information. I should apologize for not responding before. I started researching what you sent and got so involved – it sent me off on a whole new journey! 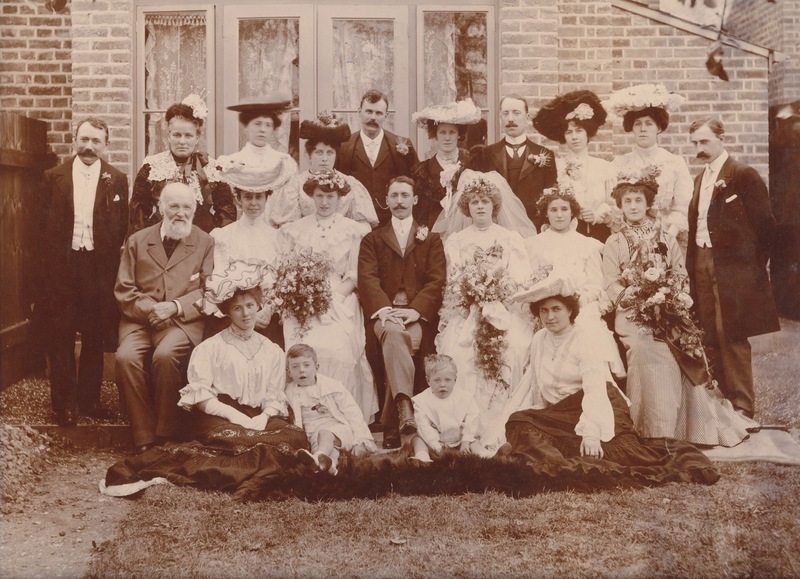 You’ll see I haven’t written here in ages – I am currently very involved in other things and am still battling with the large numbers of my ancestors who appeared to have live in Spitalfields and the East End of London. In particular I must thank you for the excellent transcription of Roger’s will. 1791 CARON.—Janv. 23. Guillaume Nicolas f. de Guillaume C[aron]. et Elizabeth Mecham. P. Nicolas Guillaume Caron. M. Anne Caron, née Somerset. Né 10 Déc. 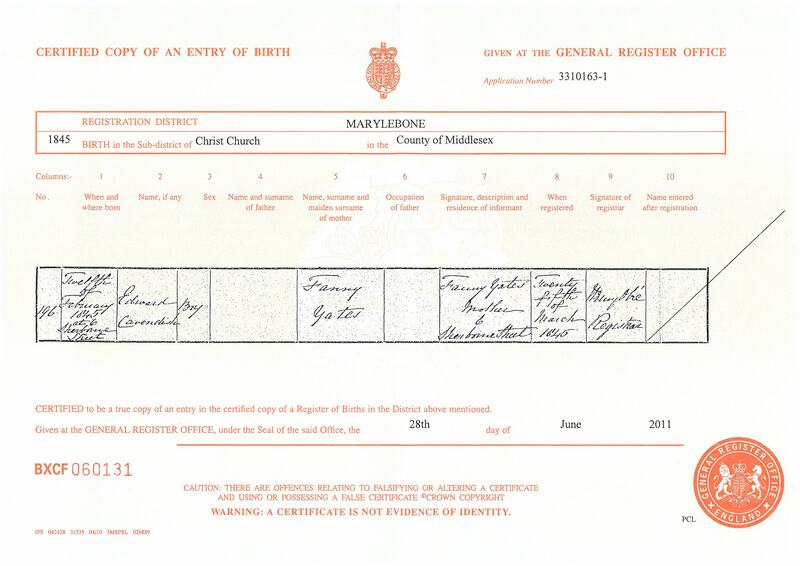 I cannot find the name Mecham before that date in those specific records,.so it could be that you are right and your family intermarried,.but there are many other records from other French Churches in London and elsewhere that I do not have at the moment. Many thanks for this Susan. You’ll see I haven’t been blogging much of late. I seem to have almost too much information to know where to start how to write it down! 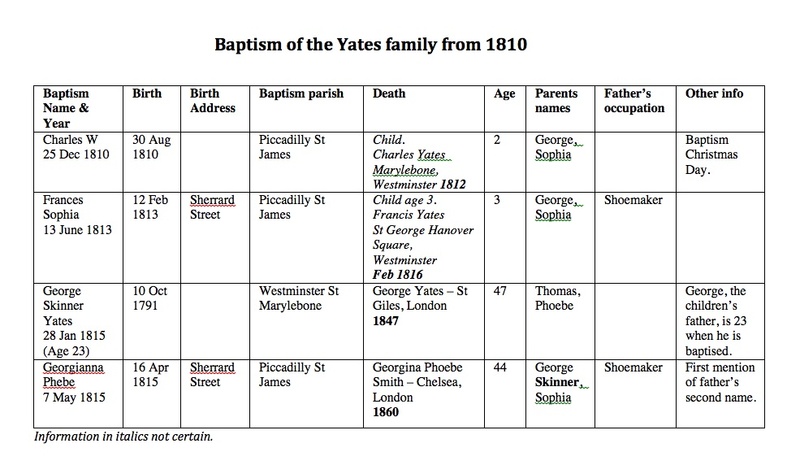 Are you aware that there is an interesting Festival on in Spitalfields at the moment called Huguenot Threads http://www.huguenotsofspitalfields.org/huguenot-threads-2014.html and a Huguenot family history map is being created at the Town House http://www.townhousewindow.com/visit/?p=295. Thanks to the lovely people at The Town House in Spitafields, I’ve now got the link to the UCL info which I could not get to from the UK Huguenot society website – http://www.huguenotsociety.org.uk/…/docs/FRF_website.pdf Mecham is a name that IS mentioned. I am still floundering around trying to make all the people I have found connect up. When I get to a satisfactory place – I will post what I have found. Thanks again for your comments here.